Today I’m hanging out over at The Crafting Chicks as a part of their AWESOME Christmas Traditions series. I’ve really been loving it so many great recipes, projects, and activities to do with the family. Plus those crafting chicks are pure gems. Some of the nicest girls around! I am sharing my family’s love for the classic movie White Christmas. To try and pass down the obsession to the nieces I made these really easy Sisters Feathered Fans. How many of you are White Christmas fans? Well click over to see what I said and catch my tutorial. 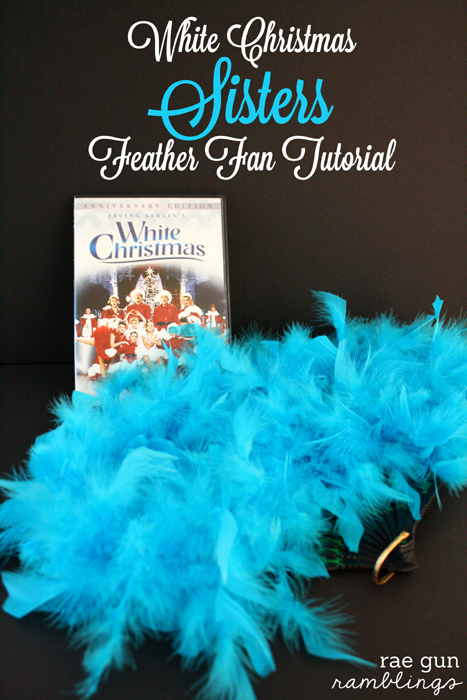 Hope on over to see my White Christmas Sisters Feathered Fan Tutorial. And just for a bit of extra fun how about a little performance from the nieces :) PS the video is SUPER short some day I’ll get a smart phone and then I’ll be able to Instagram their antics ha but I couldn’t figure out how to convert it to the right format.